Satco Hi-Pro 54-Watt E39 Mogul base LED lamp offers 6480-Lumens of bright light output. This lamp has voltage rating of 100 - 277-Volts. It has color rendering index of more than 80. Lamp with 5000K color temperature radiates natural light/white light to the surrounding. It emits or distributes light at beam angle of 300-degree. This lamp in white finish, measures 10.47-Inch x 3.69-Inch. It comes with average life of 40000 hours. This IP64 rated lamp is suitable for damp location. It emits no UV light. 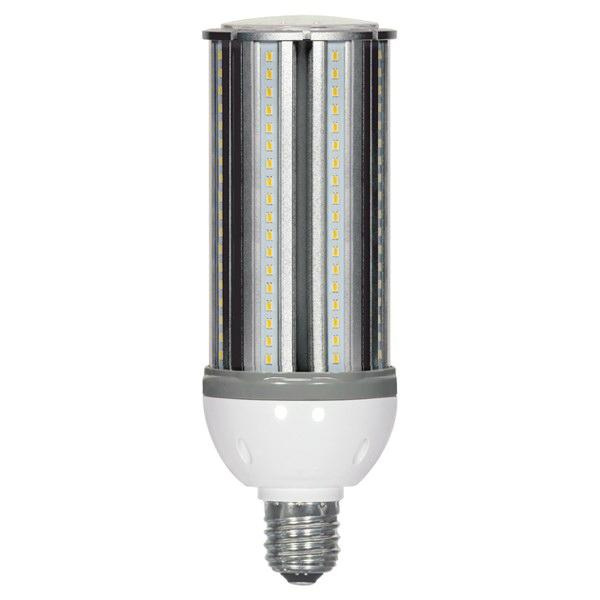 This LED lamp is ideal for industrial/commercial applications. Lamp is UL/cULus, ETL listed and RoHS compliant.